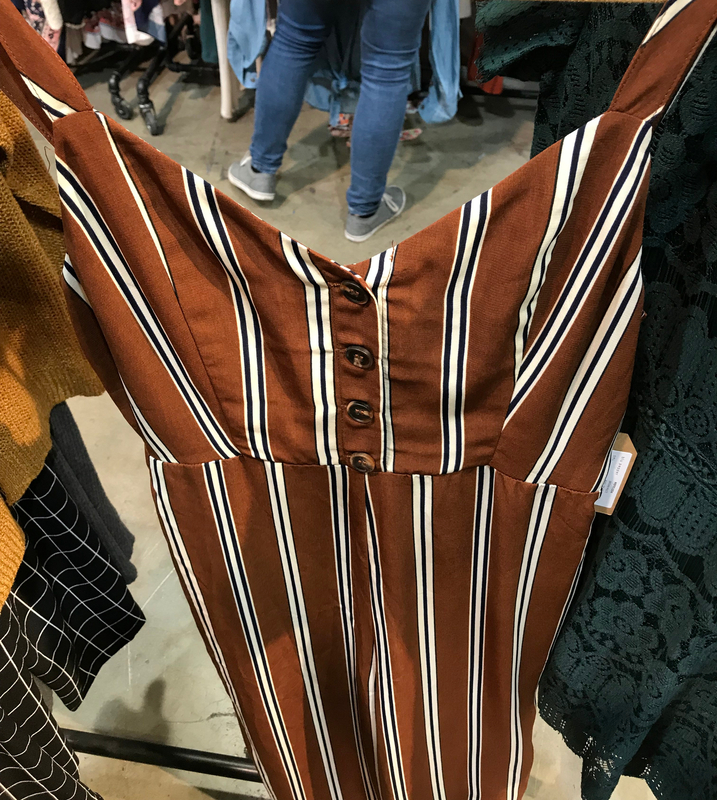 Ok, so it’s a horrible picture but this was one of my favorite striped jumpsuits in the perfect fall colors! Again, you can layer with a tee for more coverage/warmth. Note the buttons… another trend to discuss below!